Christmas is coming and we'd like to ensure we continue to deliver the very best customer experience throughout the holiday period. It would be helpful if you could place your orders, for delivery pre-Christmas and early January, by the 11th December. The Futures Supplies team can help schedule your deliveries. Just call us at the office or send us an email and we'll help you schedule your deliveries. Our office will be closed on the 24th, 25th and 26th December. Remember you can continue to place orders on the website, 24 hours a day and 7 days a week, even during the Christmas break. Baylis & Harding is a leading brand within the fragranced bathroom essentials market. They have a unique enthusiasm for perfection, focusing on affordability, quality and design. By closely monitoring the global fragrance, fashion and trends, Baylis & Harding are able to bring the best in innovation and style! 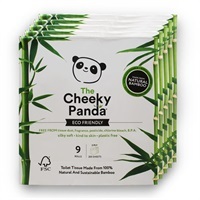 The Cheeky Panda concept turns bamboo into luxury tissues. Kleenex® Botanics Luxury Foam Hand Cleansers have been designed to leave users feeling refreshed and uplifted. Specially formulated for frequent use hand washing, the Kleenex® Botanics Hand Cleanser range leaves hands feeling moisturised. The harmonised fragrance choices have been carefully developed to offer an uplifting sensory experience. Thanks to BATP technology, for which Papernet has the exclusive European rights, Biotech is the first complete product that cleans the sewerage system and septic tanks. Biotech contains five different types of good microorganisms, which are harmless and remove incrustations and smelly substances from the pipes. Small Business Sunday, shortened to the hashtag #SBS on Twitter, was created by Theo Paphitis in 2010. Theo is best known for appearing on Dragons Den on BBC Two. He is Chairman of Ryman Stationery, Boux Avenue lingerie and Robert Dyas, as well as joint owner of Red Letter Days. Each week, Theo rewards businesses that tweet him @TheoPaphitis and describe their businesses in one tweet of 140 characters or less including the hashtag #SBS. The team at Futures Supplies was absolutely over the moon to be selected as a winner on 15th February out of hundreds of entries. We would like to wish you and your families a very Happy Christmas and a Prosperous New Year. It's been an amazing record year for Futures Supplies. We have enjoyed celebrating some key milestones with you including our 20th Anniversary, receiving the award for The Best SME Business 2015 and the highest accolade awarded by Plimsoll for 'Outstanding Performance' - thank you. You can continue to place orders on line 24 hours a day, 7 days a week as normal at www.futures-supplies.co.uk right through the Christmas and New Year period and remember we will be here if you have any last minute requirements up to and including 24th, 29th, 30th and 31st December. A heartfelt thank you to all our valued customers for your loyalty and support throughout 2015, and a promise from all the team here to continue to deliver exceptional service and value throughout 2016 and beyond. .
Futures Supplies is delighted to bring you the new Katrin Range of Dispensers launched by Metsa Tissue for the workplace and beyond. Click here for further information on the Katrin Inclusive Dispenser Range, or to buy now . Within our 'Eco Products' category, you can now find two sub categories specifically for EU Ecolabel Approved Washroom products, and for EU Ecolabel approved cleaning products. Click here to view the Eco Products Category . A Refreshing Approach To News - It's a 20 Year Celebration! Futures Summer Newsletter 2015 . Multi-phasing passive air freshener with sub-micron fragrance technology V-Air SOLID utilises pioneering multi-phasing sub-micron technology. The V-Air SOLID particles enable superior fragrance delivery, yet are sized typically below 1.0 micron. This means they are much smaller and lighter than the particles in other fragrance systems, remaining airborne for many hours. This makes V-Air SOLID highly effective, whilst being safe for public areas and continuous exposure. Available in 5 fresh fragrances Cool Mint Cucumber Melon Apple Orchard Ocean Spray Citrus Mango Click here for further information on the V-air SOLID, or to buy now . We now have a specific category featuring the latest innovative cleaning solutions. Find out details about innovations such as the Unger Stingray, Katrin Inclusive Dispenser Range, Looblade, iMop, Loogun, Dyson Tap, and the Binny disposable sanitary bin Click here to view the Innovations Category . If you are not an 'account customer' but would like to order from our website, you now can. Place a One-Off Order, Check Out and Pay Now . We offer a range of feminine hygiene units and services to suit all washrooms to ensure that you not only comply with legislation but receive the very best and competitive Feminine Hygiene service available. Sanitary waste discreetly collected and disposed of safely and responsibly, ensuring no expensive drain blockages and unsightly mess. Attractive and sleek in design, the bins are designed to minimise dirt traps and the units incorporate Biomaster antimicrobial protection which is an EPA and FDA approved antimicrobial additive providing a 24/7 protection against bacterial build up from harmful germs reducing the growth of bacteria by up to 99.99%. Reliable, discreet and worry free service Pedal operated bins with an attractive, sleek, design Standard white or 'designer' bins available Complete liner exchange service Incorporates Biomaster* antimicrobial protection Known service day 'Scan and Verify' service 4 weekly Service - 13 visits a year Flexible contracts Zero to landfill . To reflect the changes that have taken place in our customers' needs and to ensure we continue to deliver client satisfaction and continual improvements, we are pleased to announce the launch of our newly re-designed user-friendly website www.futures-supplies.co.uk The site offers you access to all our products and services 24 hours and 365 day a year! It aims to make your experience on-site as enjoyable as possible by creating a simple method of finding products, information and ordering online. 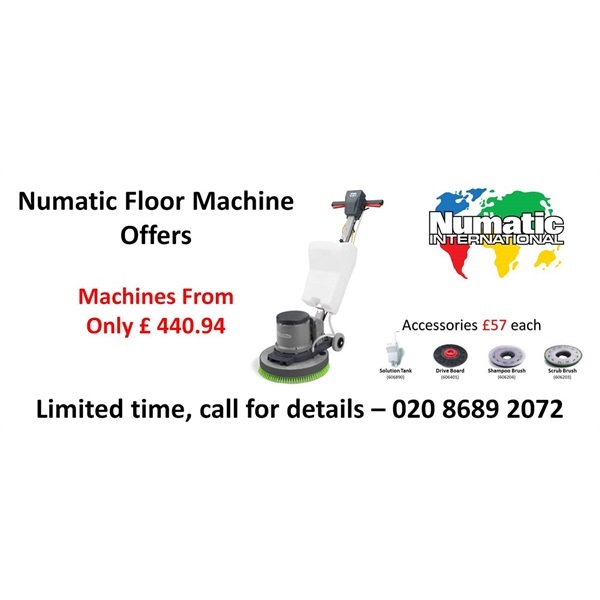 Visit the site now to; *Access your contract or special prices. *Shop on line 24/7. *View and print product information, including COSHH Safety Data Sheets *Pay on line using all major debit and credit cards using the 'Pay Now' button or when you check out *Access you order history, copy invoices and PODs Call or email to request for a unique Username and Password to give you access to your individual contract or special prices and our full product range. .
Futures Supplies is delighted to bring you Kimberly-Clark's most hygienic dispenser range ever. Click here to view the New Kimberly-Clark Aquarius Dispenser Range . We have added a new 'Infection Control' category to the website. Find all your essential infection control products in one place; Hand Sanitiser, Anti Bacterial Hand Wash, Facial Tissues, Sanitiser Sprays & Wipes. Click here to view the new Infection Control category . The Evans E-zone range of super concentrates delivers products easily and economically in a simple, colour co-ordinated system. The products have been formulated by selecting highly effective ingredients & combining them with clean, fresh perfumes to create products with an exceptional, high cleaning performance. They have been produced with a sensible approach and consideration to environmental issues and cover 3 significant sections of the daily cleaning schedule. Red Zone - Washroom Blue Zone - Multi Purpose Green Zone - Flooring Features and Benefits * High concentration, low dosage * Accurate dosing method * Portable, lightweight, easy to handle bottle * Colour coded for easy recognition when diluted in clear trigger spray bottles * Reusable container - reduces packaging waste * 1 ltr bottle provides up to 100 trigger sprays or 50 x 5lt buckets of solution * Packed in 4 x 1lt & 2 x 5lt refills Click here to view the Evans E-zone Eco Concentrates Range . The Toucan Eco - an innovative sustainable solution to a wide range of cleaning and disinfection requirements It can be used wherever general cleaning & sanitising tasks are carried out and can replace many chemical disinfectants & cleaning agents that are traditionally used. The Toucan-Eco contains a special cell in the spray and jug which uses electrochemical activation (ECA) to convert the salt and water into an activated solution of mixed oxidants with disinfectant and detergent properties. The disinfectant is tested to EN 1276 and conforms to the European Biocides directive. Environmental credentials The Toucan-Eco is extremely environmentally friendly in a whole range of ways, which when combined make it probably one of the most inexpensively available 'green' cleaning and disinfectant agents! The Toucan-Eco has a low level of carbon impact due to its excellent environmental credentials *Fluids generated entirely from low cost, sustainable, natural ingredients *No packaging to dispose of *No transportation costs *No storage costs *Non-toxic in use or in residues *No contamination of the environment *Low energy consumption *No batteries or harmful components *Unit can be recycled Click here for further information Or watch the Toucan Eco demonstration video here . ECOVER ZERO gives exceptional washing results for people who want a fragrance free allergy-approved product they can trust. Perfect for sensitive skin, the ZERO core range of Laundry Liquid, Washing Powder, Fabric Conditioner & Washing Up Liquid are dermatologically tested and approved by Allergy UK. Using Ecover ZERO can help reduce allergic symptoms; Ecover ZERO uses only gentle plant-based and mineral ingredients, no phosphates and is fragrance free. Working closely with Allergy UK, Ecover has gained endorsement from a credible body within allergy to further cement Ecover ZERO as a range you can trust with your health in mind. Ecover ZERO doesn't mean you need to compromise on effectiveness, Ecover ZERO Washing Powder & Washing up Liquid carry the Good Housekeeping 2012 Approval. Click here to buy Ecover Zero Products . Waste Batteries & Accumulators Regulations 2009 Statement Futures Supplies does not either manufacture or import batteries - futures supplies is a distributor As a distributor Futures Supplies:- *allows its customers to return portable batteries to a collection point at their office at: Unit 1, Valley Point Industrial Estate, Beddington Farm Road, Croydon, CR0 4WP. *arranges for a battery compliance scheme to collect batteries once their battery collection point is full. . Waste Electrical & Electronic Equipment (WEEE) Regulations Statement The WEEE Regulations 2006 require producers of EEE to cover the cost of collection, treatment, recovery, and environmentally sound disposal of obligated products. When EEE (Products marked with a crossed wheelie bin symbol / label on them) reaches its end of life, the end user should return the WEEE to the producer, to help reduce the environmental impact of the substances contained within the WEEE. Futures Supplies is classified as a distributor under the regulations, jot a producer. Futures Supplies, through its role as a distributor, is required to provide its business customers (on request) with contact and registration information of the producers' of EEE products, which it has supplied to that customer. To request the producers details of any EEE products that have been purchased though Futures Supplies, Please contact Andrew Hills on 020 8689 2072. . Registration, Evaluation, Authorisation & Restrictions of Chemicals (Reach) Regulations Statement Futures Supplies does not either manufacture or directly import chemicals covered by the scope of reach. Futures Supplies is a distributor. As a distributor Futures Supplies:- Provide H&S information (including safety data sheets) up and down the supply chain. Works with its suppliers to provide products which have either been registered or pre-registered, and that meet the current registration requirements of reach . Futures Supplies is delighted to bring you hygiene, sustainability and economy with the recent introduction of Vileda products to its already wide range of products on offer Click here to view the Vileda Professional Range . We are pleased to announce that we have added Innu-Science 'Nature Powered' cleaning products to our range. Innu-science is the global leader in commercial cleaning solutions based on biotechnology; introduced with success to the UK market in 2009, Innu-Science have a full line of highly effective, eco-friendly, non-toxic products Click here to view Innu-Science Cleaning Products . We are pleased to announce that we have added UNGER Window Cleaning Equipment to our range. Unger is an international company and has been manufacturing professional cleaning tools for more than 40 years. It has offices and manufacturing facilities in the United States and Germany, and sales offices in the United Kingdom, and India. Unger now provides innovative cleaning solutions to more than 80 countries worldwide. Click here to view Unger Window Cleaning Equipment . Kimberly-Clark Professional, the leading supplier of washroom products, has launched a new high-image hand hygiene bundle that includes state-of-the-art, touch-free electronic soap and towel dispensers. The high-tech dispenser bundle stands to offer washroom operators major benefits in the form of controlled cost in use and operational efficiencies. The new Electronic Rolled Hand Towel Dispenser can provide a saving of up to 12.5% compared with the existing Kimberly-Clark Professional manual No-Touch Hand Towel Dispenser. The new Electronic Foam Soap Dispenser, meanwhile, promises increased control with just one 0.65ml foam shot required per wash compared with the 2 shots required by the existing Kimberly-Clark Professional Aqua Foam Soap Dispenser. Both the Touch-free Electronic Hand Towel and Soap Dispensers in the new bundle offer high capacity refills to help prevent them running empty. The Electronic Rolled Hand Towel Dispenser dispenses all Kimberly-Clark Professional Rolled Hand Towels made from Airflex Fabric, including Kleenex Branded Towels for high image and Scott Brand Towels for greatest cost in use. The Electronic Foam Soap Dispenser dispenses the new Kleenex Luxury Frequent Use Foam Soap . With its first TV ads now being aired, Ecover is the worlds leading manufacturer of ecological cleaning products. Watch the TV adverts here Its credentials are endorsed by certification to BS EN ISO14001 and Ecover has over 25 year's of experience in ecological cleaning using innovative pioneering formulas that work to tackle the toughest cleaning problems. Ecover takes ecological, economic and social aspects into account from the origin of the raw materials to the biodegradation - a cradle to the grave approach. Its principles of sustainability are an integral party of the company's mission, vision and strategy. . Ensure your payment method is convenient and reaches us on time - Pay by BACS * Avoid the cost and time of tracing missing cheques * Avoid late payments which may hold up delivery of your regular orders and result in legal action * Save Money - It costs less to pay By BACS as banks generally charge less for electronic payments * Save on your environmental impact and the cost of postage BACS is BEST! You can also pay by bank transfer or with all major credit and debit cards . 'SAFEZONE' Virucidal Sanitiser Virucidal sanitiser for treating hard surfaces & soft furnishings contaminated with potentially infectious soiling. Kills a range of pathogenic micro organisms including the viruses that cause Hepatitis B & HIV and the bacteria MRSA (Methicillin Resistant Staphylococcus aureus). For use in nursing and medical establishments or wherever there is a risk of infection. Click here to buy Safezone Virucidal Sanitiser 'Handsan' Alcohol Gel Hand Sanitiser Quick acting & highly effective alcohol skin disinfectant and sanitiser. Kills bacteria & viruses. Rapidly evaporates from hands without leaving residue or odour. Unperfumed, therefore suitable for wherever food is handled, prepared or served. Ideal for use in between patient contact in non-surgical medical care establishments. Click here to buy Handsan Alcohol Gel Hand Sanitiser . You can now view your orders which have been placed via the website over recent months. Once you have signed in, just click on the "Order History" link on the left hand side of the page. . Launched today 'Mandies Blog', titled 'Excess borrowing and abuse of our planet' This is the first of a regular blog providing an opportunity for lively deliberation and supposition, which can be found at www.futures-supplies.co.uk/blog.asp - Click Here To View Mandies Blog . Ecover is an international company active in the production of ecological detergents and cleansing agents. Founded in 1980, Ecover has been a trendsetter from the very start. Ecover products deliver; *Minimum impact on the environment *Excellent cleaning performance *A safer environment for both the user and the public Try them - Ecover products clean really well! Buy Ecover Direct from Futures Supplies Click here to be directed to our Ecover Information Page .